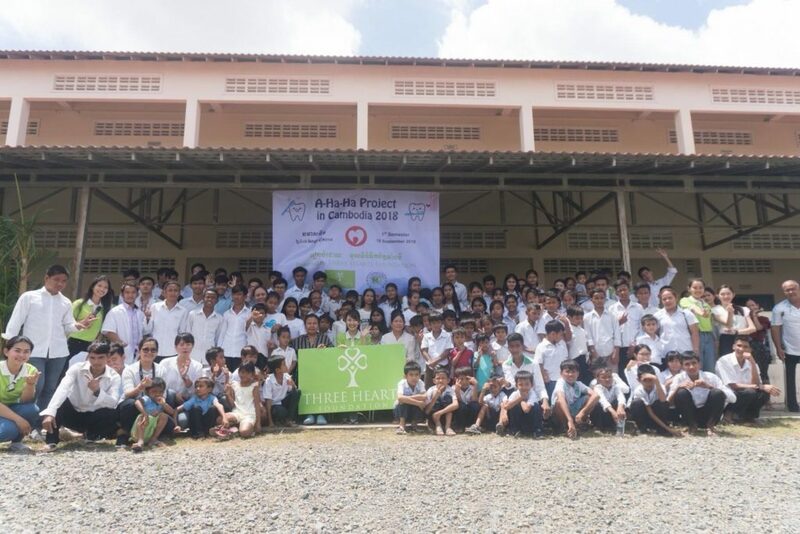 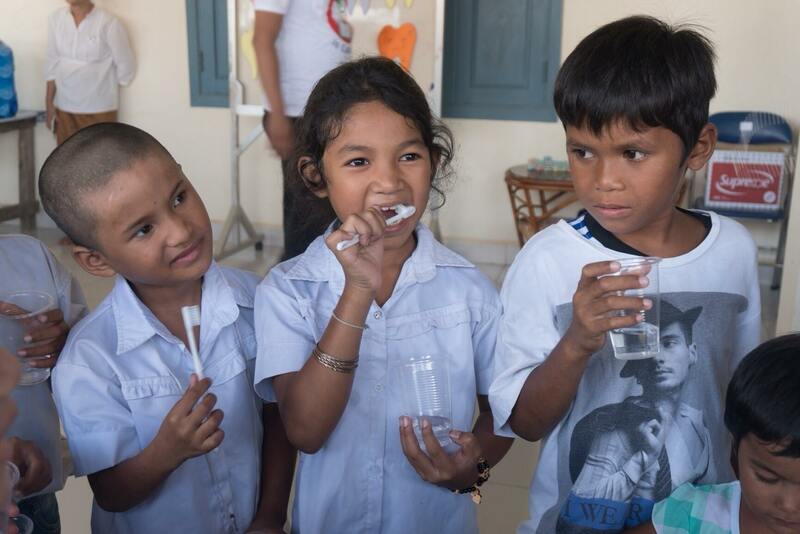 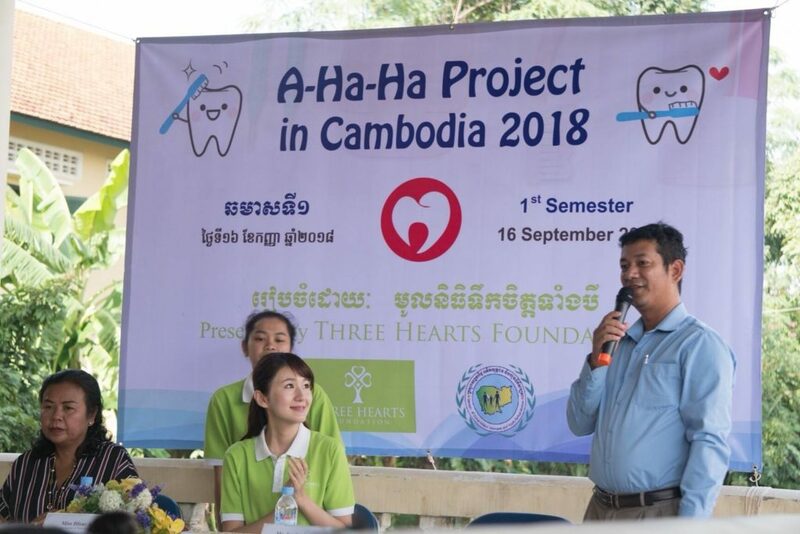 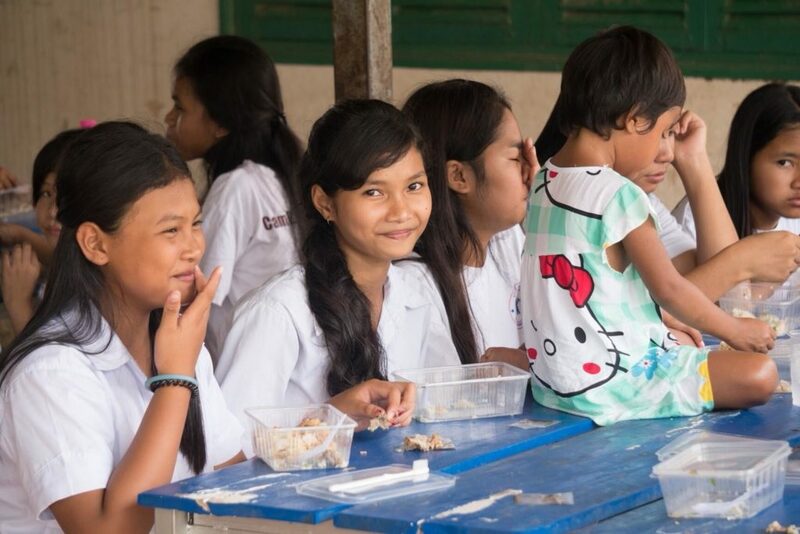 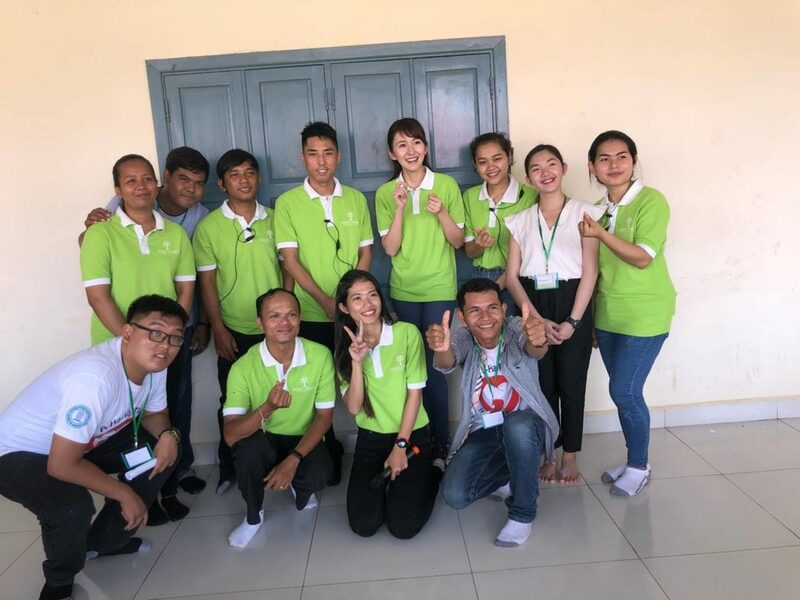 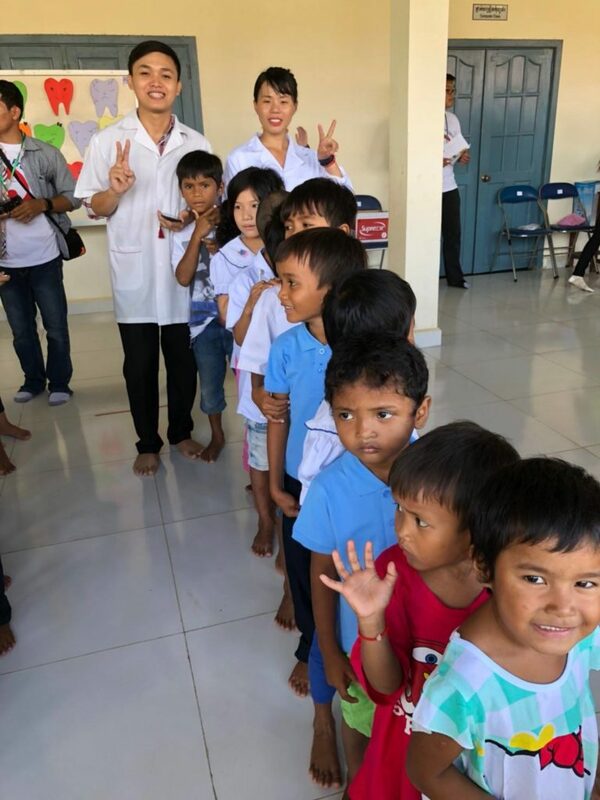 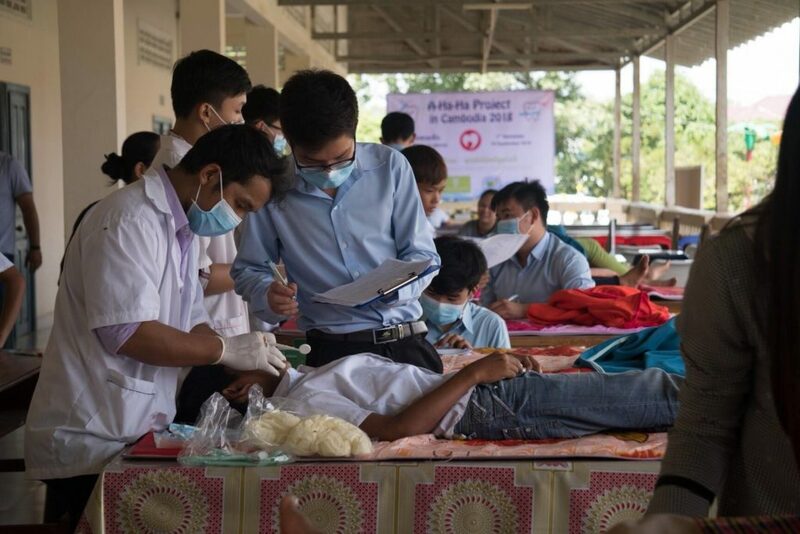 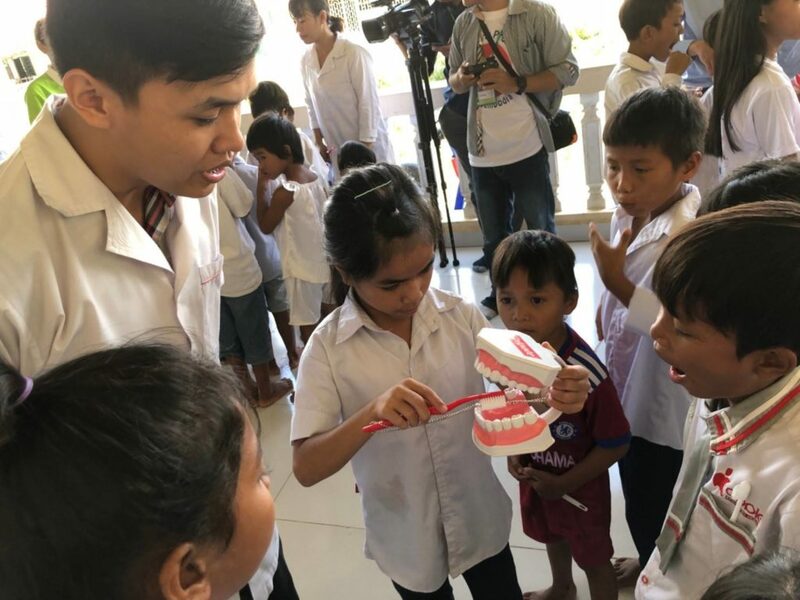 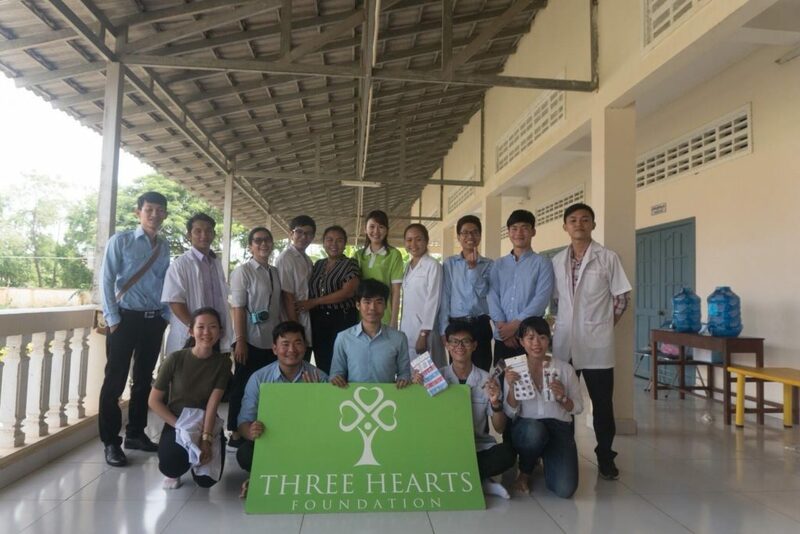 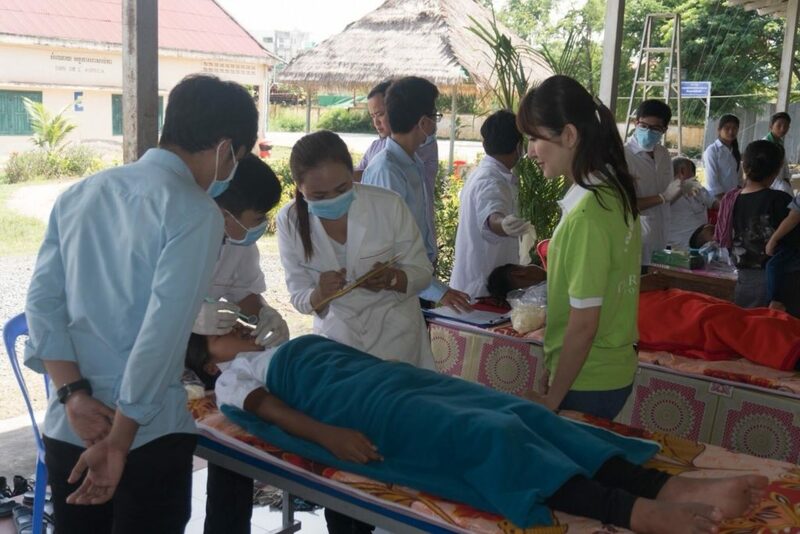 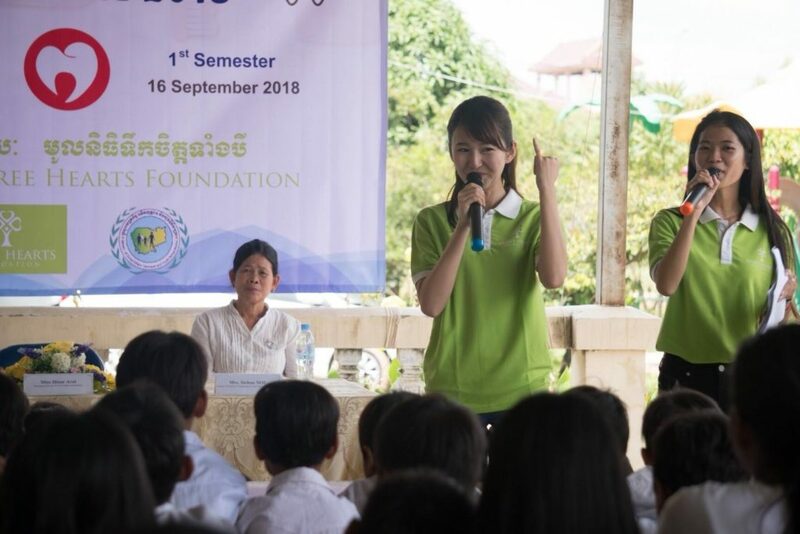 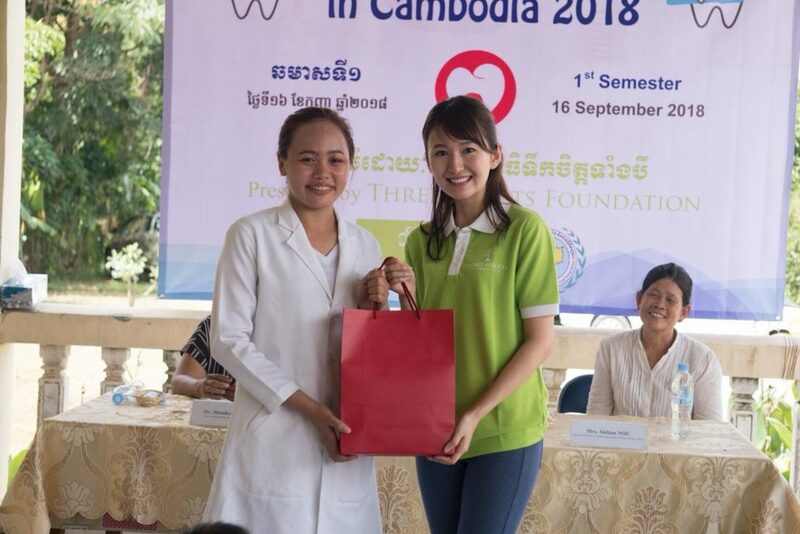 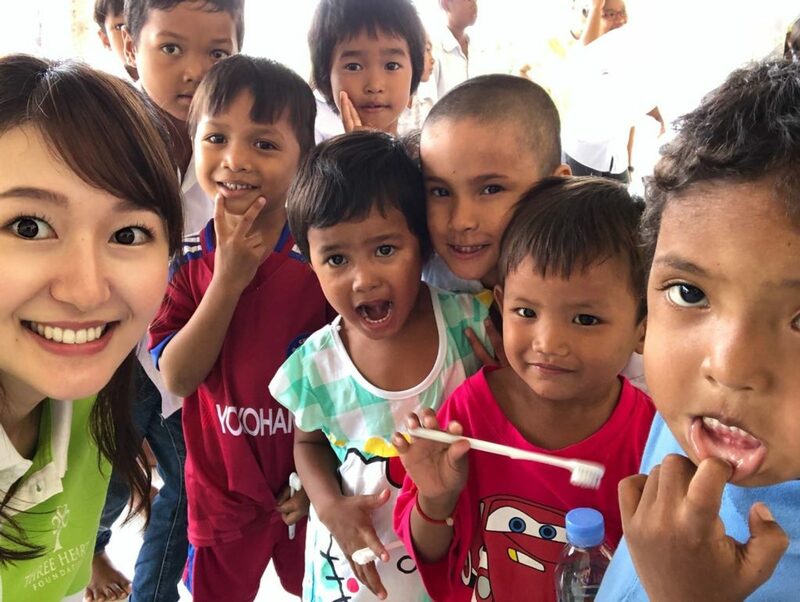 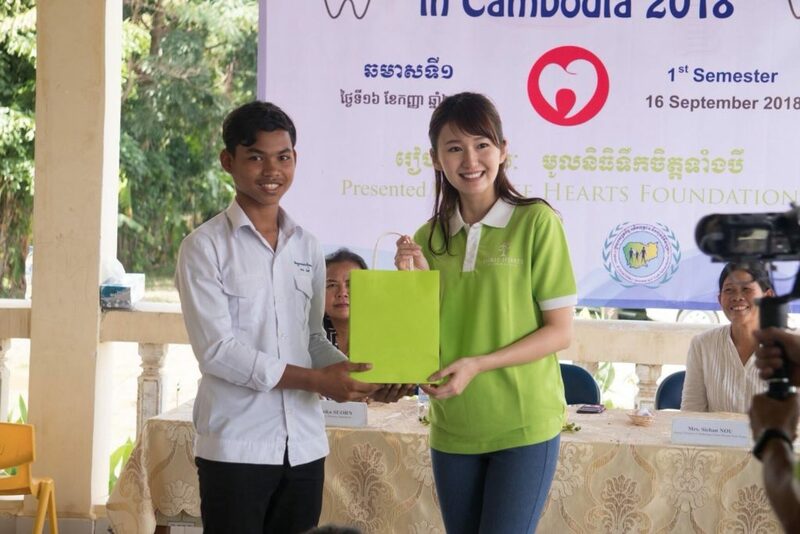 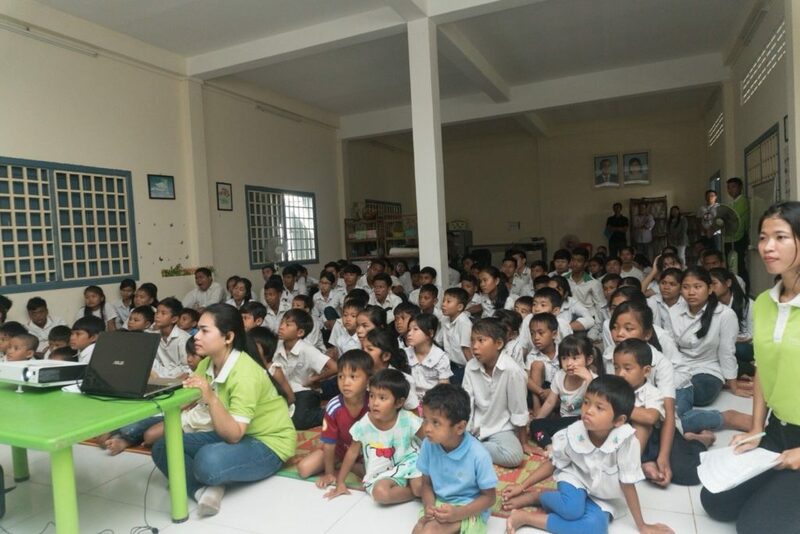 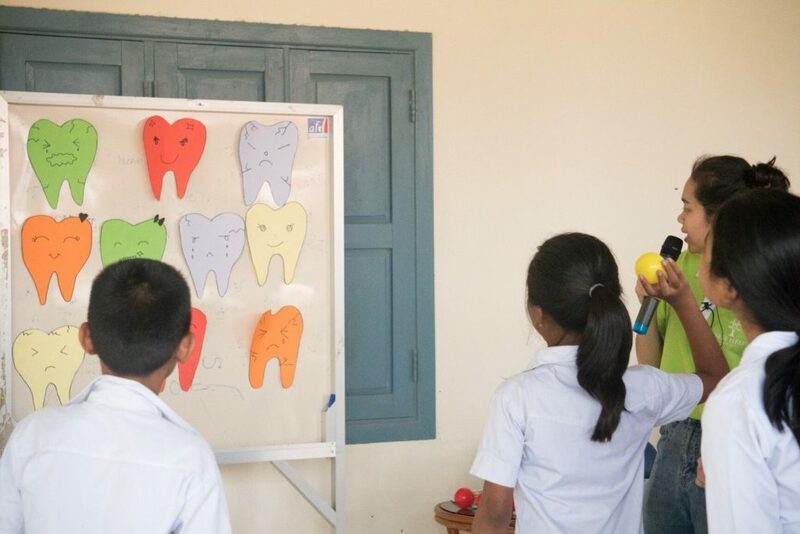 Cambodia-registered NGO, Three Hearts Foundation (THF) organised its first leg of dental and oral hygiene initiative, A-Ha-Ha Project in Cambodia 2018 for 106 boys and girls from two orphanages at Orphanage Center Phnom Penh Thmey (OCPPT) in the morning of September 16. 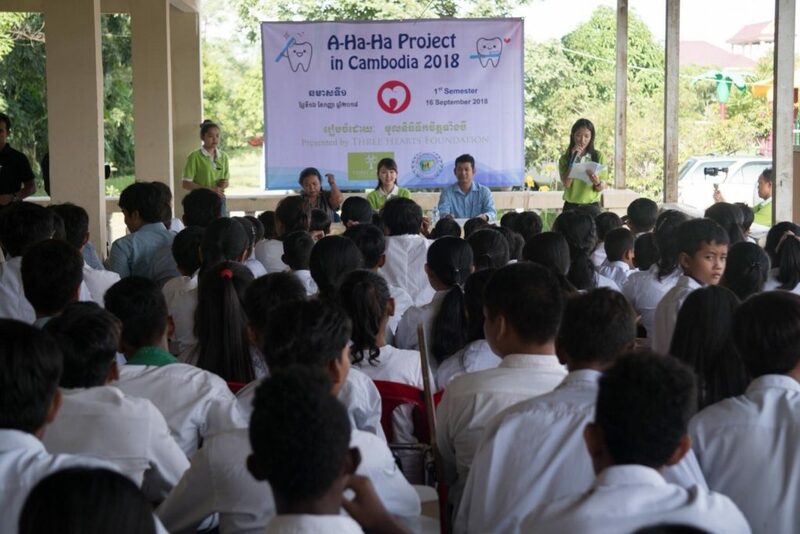 This signature health care initiative, A-Ha-Ha Project, was launched by THF five years ago. 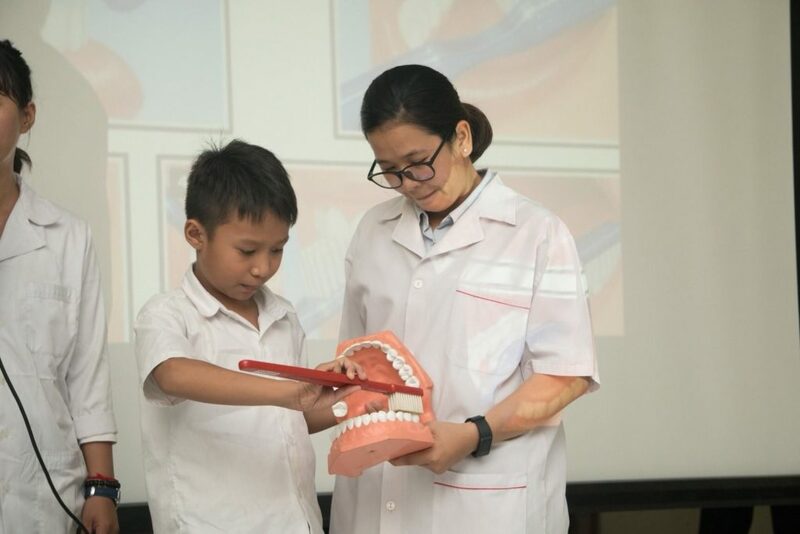 The program was held under the supervision of one of city's leading dentists Dr. Monika SUORN assisted by 13 dental students. 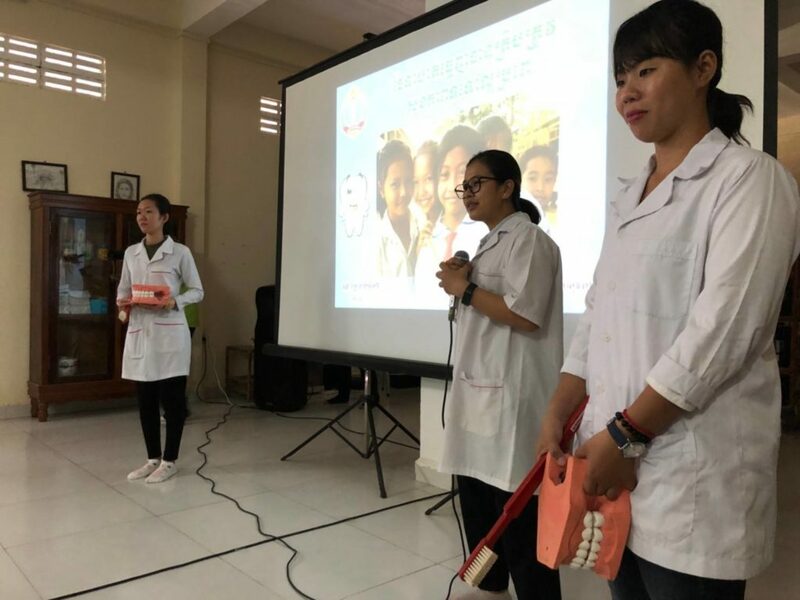 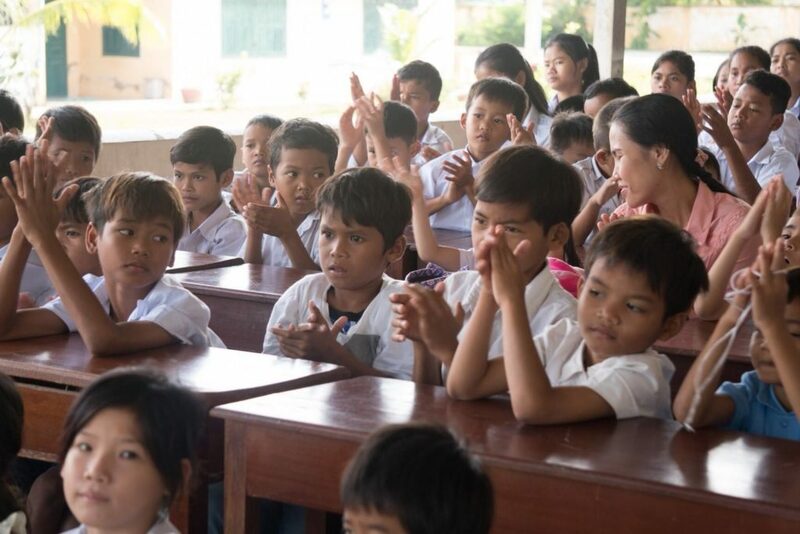 Oral education, a demonstration on proper way of brushing teeth and an oral checkup were imparted to 56 students from OCPPT and 50 students from Kolap Boun Orphanage as part of the day’s program. 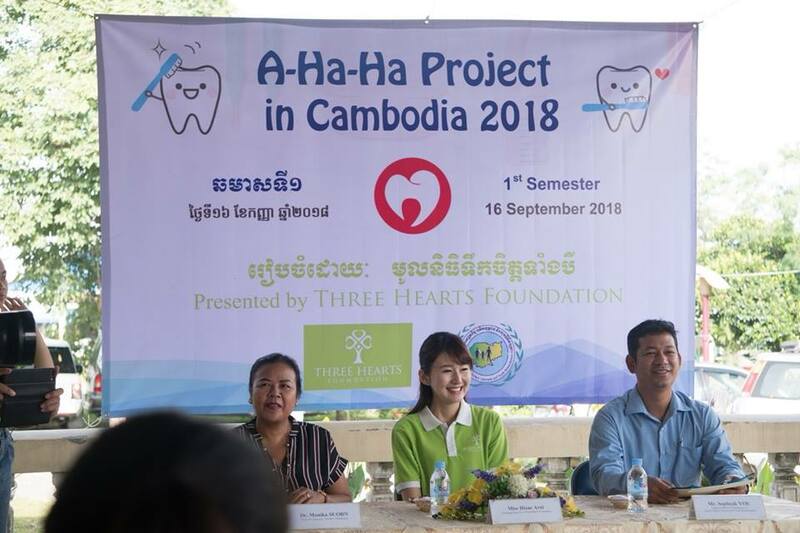 As for those who have oral problems, dental treatment will be dealt with during the second A-Ha-Ha planned in December. 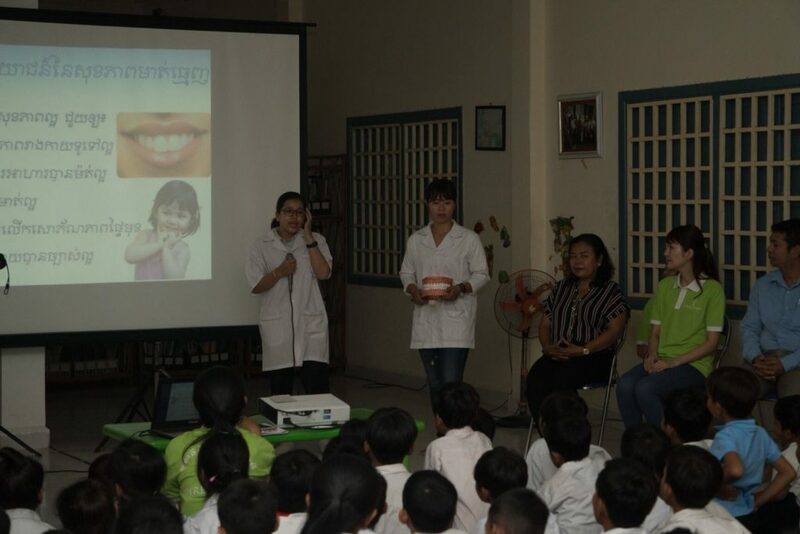 In addition to the three major activities, participants were encouraged to join oral hygiene related fun activities. 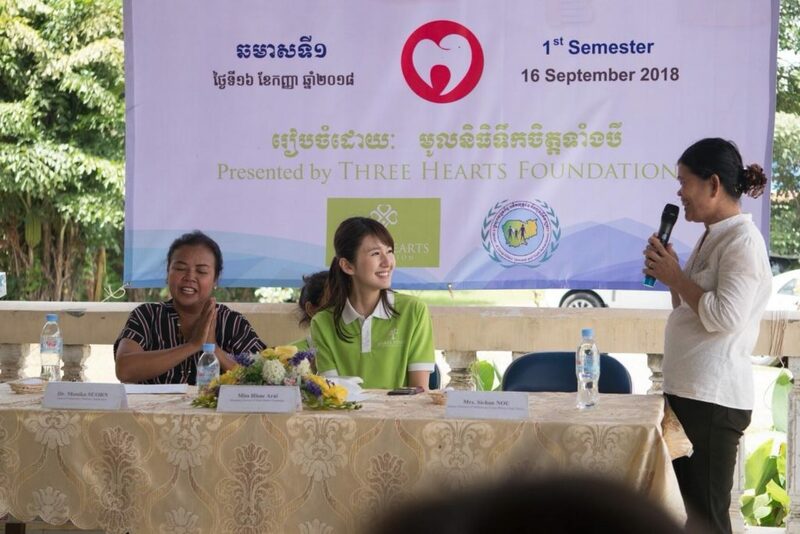 Mr. Sopheak YOU, Deputy Director of Department of Social Affairs Veterans and Youth Rehabilitation and also the Director of OCPPT, Mrs. Sichan NOU, Deputy Director of OCPPT, Dr. Monika SUORN, and Miss Hisae ARAI, Managing Director of THF were among special guests attending the event. 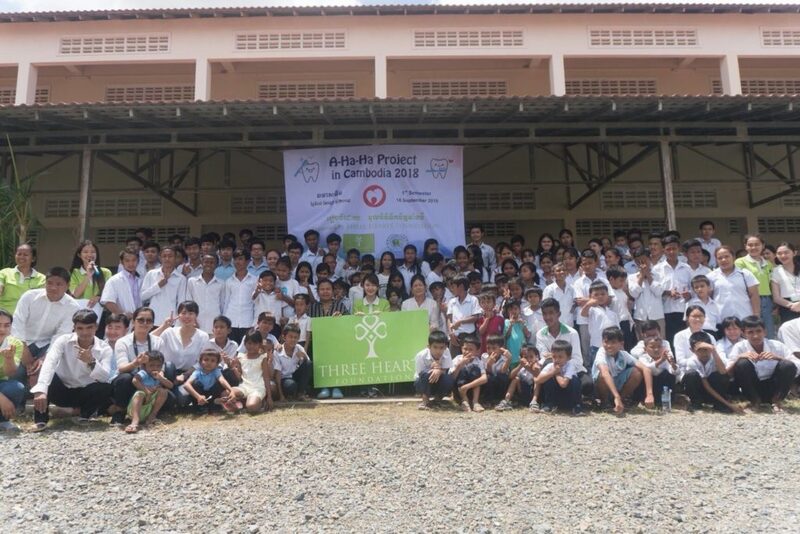 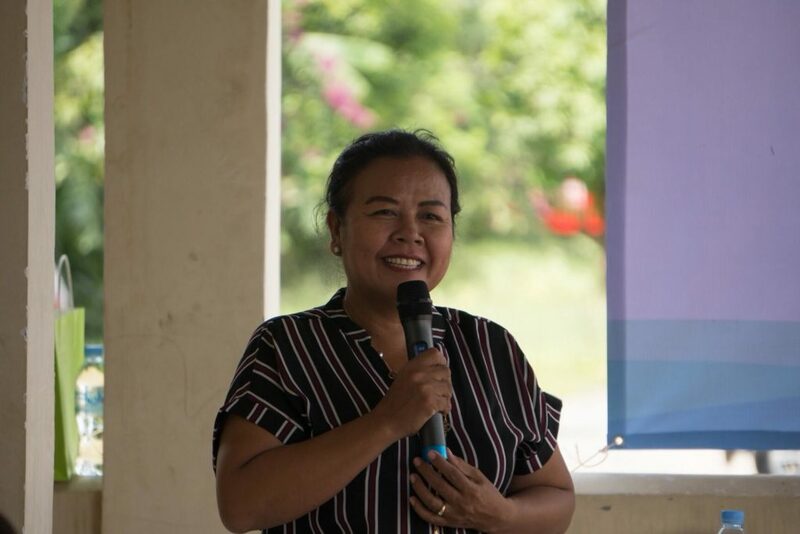 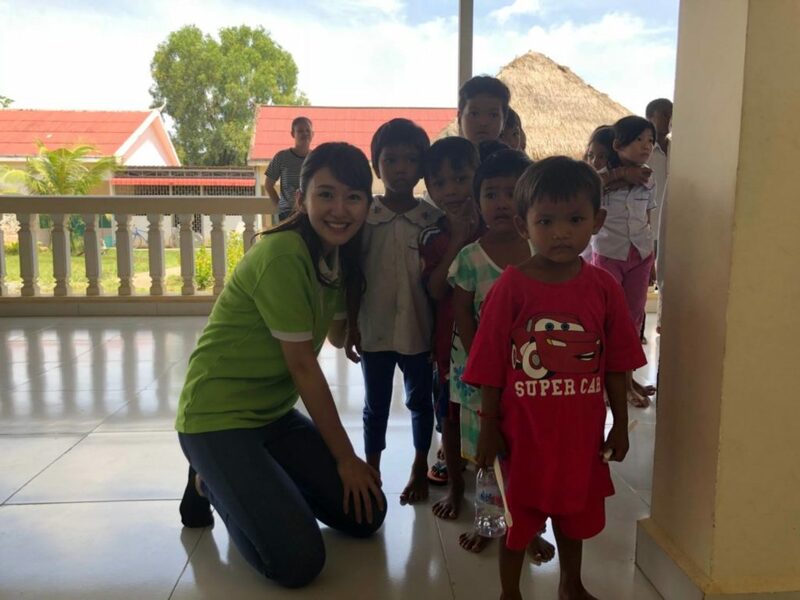 Mrs. Sichan NOU, Deputy Director of OCPPT said, “I am deeply thankful to THF and Miss Arai that they will organise A-Ha-Ha at OCPPT for my children for the second time in the same way as the first one held in 2015. 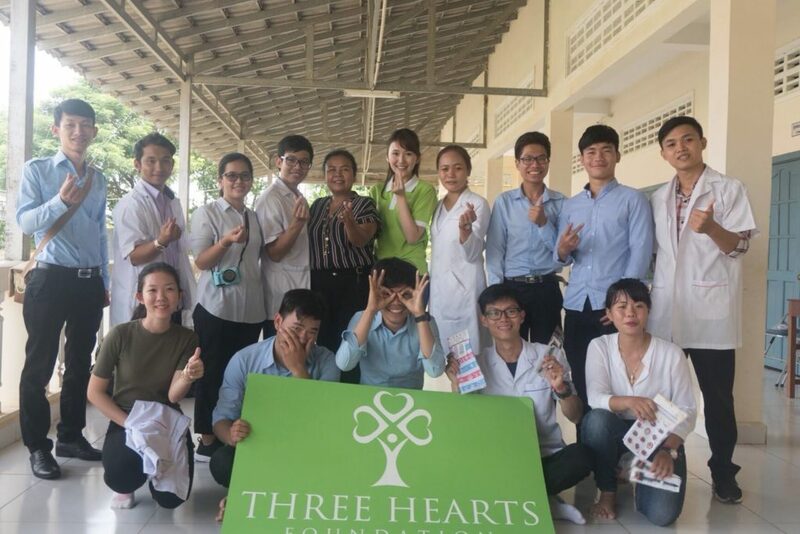 We are grateful for this opportunity."